POLITICAL TIDBITS: A great plus for President Digong if he appoints Glenn Chong to the Comelec top post, as this would restore confidence in the poll body. The urban warfare that our marines---trained in jungle warfare---fought in Marawi exacted a high toll in their ranks---36 dead and 353 wounded. But the Marines delivered. A great plus for President Digong if he appoints Glenn Chong to the Comelec top post, as this would restore confidence in the poll body. The urban warfare that our marines---trained in jungle warfare---fought in Marawi exacted a high toll in their ranks---36 dead and 353 wounded. But the Marines delivered. The post of Comelec Chair became vacant with the resignation of Chairman Andres Bautista, which was virtually forced on him as the only option---so that he does not face a bruising trial in the Senate and certain conviction, after being impeached by the House of Representatives. The question now is: who will assume the top Comelec post? 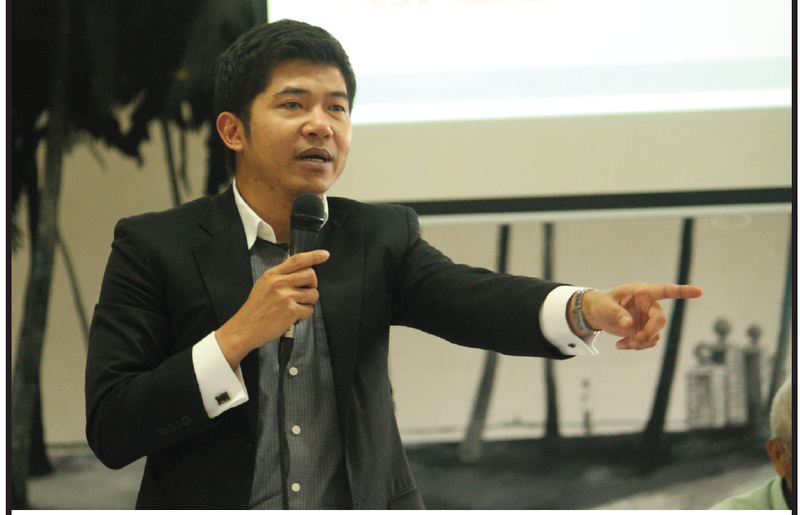 While a few names are being tossed around, one seems to be dominant, invoking confidence from various sectors: lawyer and former Biliran Rep. Glenn Chong. It is highly significant that among those endorsing Glenn Chong are leading members of the Philippine IT profession and various associations connected with it. Among his most vocal endorsers are outstanding IT professionals such as Nelson Celis, Edmundo Casiño, past president of the Philippine Computer Society, Ernesto del Rosario, Leo Querubin and their respective IT groups. Another hearty endorser of Glenn Chong is the active citizens' group Tanggulang Demokrasya, led by civic leader Evelyn Kilayko and lawyer Dindo Donato as its general counsel. Citizens from various walks of life who have heard the presentations of Glenn Chong have been impressed with his deep knowledge of the workings of our electoral system as well as the frauds that have infected it over time. I find the endorsement of leading IT practitioners most significant, however, since they know that Glenn Chong knows the business of elections like the back of his hand and cannot be fooled by professional cheaters inside the Comelec. As for the reservation of Manila Times columnist Bobi Tiglao that he is a Liberal Party man, that does not hold water at all. While Glenn ran under the LP in 2007, he bolted it after the near-assassination of his father which was ascribed to LP elements. In 2010 he ran for reelection in his native Biliran under Lakas-NUCD, supporting presidential candidate Gilbert Teodoro, but Glenn was cheated out of victory. His defeat due to cheating, however, proved to be a blessing for the country, for since then Glenn has singularly campaigned for clean and honest elections, and has studied all the intricacies of electronic voting and counting, so that he could outwit the deeply embedded cheaters in the Comelec. If President Duterte needs a vote of confidence in his administration, the best way is to recruit a young, idealistic and cheating-savvy guy like Glenn Chong to the Comelec where he could be expected to slay all the dragons there. Mr. Duterte, Glenn Chong is the best we have to clean out the Comelec. He will be a big plus to your administration. Earlier today my radio partner, Magsaysay Awardee for Theater Cecile Guidote Alvarez and I featured brave Marines in our weekly “Radyo Balintataw” over dzRH---to hear about their brave battles against ISIS terrorists who laid siege to the country’s Islamic City of Marawi. In the retaking of Marawi, elements from the entire Armed Forces of the Philippines have been involved---the Army, the PNP Special Action Forces, Marines from the Navy as well as the Air Force support system that has undertaken delivery of badly needed logistics and supplies and transporting the wounded to various military hospitals such as Camp Evangelista in Cagayan de Oro and in Zamboanga as well as to V. Luna Hospital. The grand design of terrorist leaders Isnilon Hapilon, head of the Abu Sayyaf, and the brothers Maute---to establish a Caliphate in Mindanao from where radical Islam could spread through Southeast Asia---had to be thwarted by the AFP with the ready support of the Filipino people. The bloody recapture effort of nearly five months---that had involved thousands of men and women of the AFP---meant logistics running to many billions of pesos that could have been put to more profitable ways for the Filipino people---such as battling the more persistent war against poverty. But the urgency of the moment was there, and Team AFP did not shirk from its bounden duty, even at the cost of hundreds of lives lost or wounded. The battle for Marawi, which began on May 23, took our fighting troops almost five months to finish, but it also exacted a heavy toll from them: a total of 165 soldiers perished in the nearly five months of battle and scores wounded. Of this total death toll, 36 were from the three Marine battalions which also saw 353 of its soldiers wounded in action. In our dzRH interview, most interesting was the viewpoint offered by Marine 1st Lt. Cris Jay Billano, a graduate of the Naval Officer Candidate School of the Philippine Navy, in that the reconquest of Marawi proved quite tough as it involved URBAN WARFARE---something the Marine batallions were unaccustomed to, as they are trained primarily in JUNGLE WARFARE. The Marine Command had been involved in urban warfare only once before---in the battle to defend Zamboanga City from some 200 MNLF warriors in 2013. Cecile Alvarez and I brought before the nation over dzRH fascinating stories of urban warfare from the Marines---this time not like in the movies but in actual battles where people lived or died. The battle for Marawi meant retaking house after house, building after building, shrine after shrine---and by the end of nearly five months of battle, the once beautiful idyllic city by Lake Lanao was utterly destroyed. 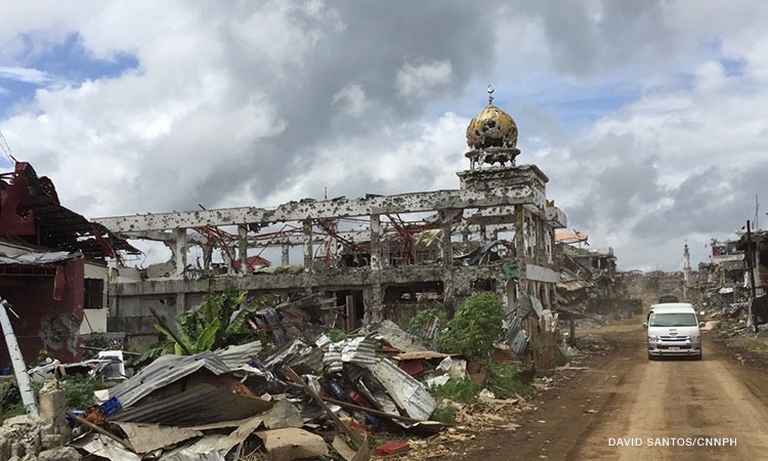 People in the construction and design business, led by world-renowned architect and urban planner Felino Palafox, estimate that it would cost no less than P50 billion to reconstruct Marawi. In fact the floating of a Marshall Plan type of bonds is being talked about to fund this most daunting, urgent job. Marine Sgt. Nestor Pulga narrated that in the nearly five-month battle, at times only a wall divided the warring troops, and the terrorists would bore holes into the walls just big enough to insert the nose of their rifles. At times the dividing line would be only some sack cloth or drapery and sorry na lang for the protagonist on the other side. Sgt. Pulga narrated how in one building, the terrorists had dug into the basement, so that the marines climbed up to the second floor and tried to work their way down. The enemy, however, started a fire to burn the upper floors, prompting the marines to jump out the windows, resulting in some broken bones. Marine Sgt. Richard Anding of the 10th Company Special Operation Platoon narrated how his group of 23 troopers went over the Mapanji Bridge, the first bridge over the Agus River in Marawi, by following on foot an advancing tank that was firing across at enemy positions. But being on the bridge also exposed the marines on both sides of the enemy lines. The untold hardships and sacrifice of lives and limbs of Team AFP reaped enormous support from a grateful nation. As Marine Capt. Maria Rowena Dalmacio pointed out in our radio program, the troopers sounded an appeal for socks and blankets and citizens flooded the camps with these items. Mabuhay ang Team AFP!